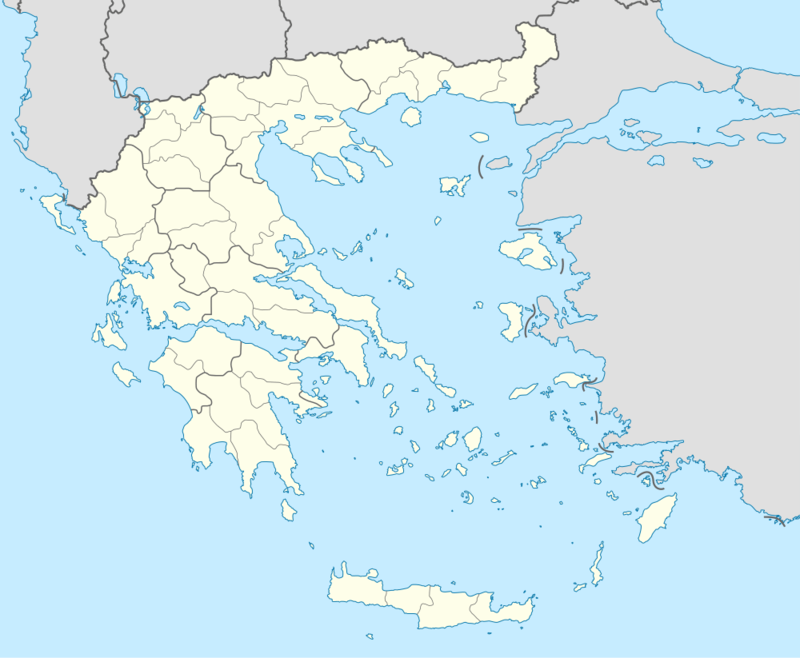 Farsala (Greek: Φάρσαλα), known in Antiquity as Pharsalos (Ancient Greek: Φάρσαλος, Latin: Pharsalus), is a city in southern Thessaly, in Greece. Farsala is located in the southern part of Larissa regional unit, and is one of its largest towns. Farsala is an economic and agricultural centre of the region. Cotton and livestock are the main agricultural products, and many inhabitants are employed in the production of textile. Farsala is famous for its distinctive halva, but even more so for its significance in ancient history. The Pharsalos of the historic era was built over a hillside of the Narthacius mountains at an elevation of some 160 m, where modern Farsala stands. It was one of the main cities in Thessaly and was the capital of the Phthian tetrarch. In the Persian Wars it sided with the Athenians. A distinctive tribe of the city was that of Echecratidon. In the early 4th century BC, the city was a part of the Thessalian Commons. Later, it joined the Macedonian Kingdom under Philip II. The area became a theatre of war where the Aetolians and the Thessalians clashed with the Macedonians, especially during the Second and the Third Macedonian Wars. After the defeat of the Macedonian Kingdom, Pharsalos and the whole area became a part of the Roman Republic. The geographer Strabo speaks of two towns, Old Pharsalos, Παλαιοφάρσαλος (Palaeopharsalos) and Pharsalos, existing in historical times. His statement (9.5.6) that the Thetideion, the temple to Thetis south of Skotoussa, was “near both the Pharsaloi, the Old and the New”, seems to imply that Palaeopharsalos was not itself close by Pharsalos. Although the battle of 48 BC is called after Pharsalos, four ancient writers – the author of the Bellum Alexandrinum (48.1), Frontinus (Strategemata 2.3.22), Eutropius (20), and Orosius (6.15.27) – place it specifically at Palaeopharsalos. In 198 B.C. Philip V had sacked Palaeopharsalos (Livy 32.13.9). If that town had been close to Pharsalos he would have sacked both, and Livy would have written “Pharsalus” instead of “Palaeopharsalus”. The British scholar F. L. Lucas demonstrated (Annual of the British School at Athens, No. 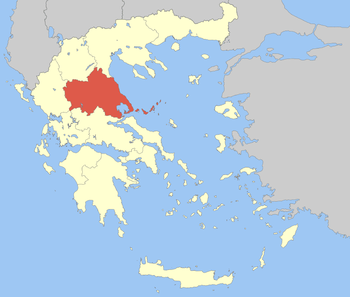 XXIV, 1919–21) that the battle of 48 BC must have been fought north of the Enipeus, near modern-day Krini. It has been suggested that Krini was built on the site of Palaeopharsalos, where the old road south from Larissa emerged from the hills on to the Pharsalian Plain. ↑ "Population & housing census 2001 (incl. area and average elevation)" (PDF) (in Greek). National Statistical Service of Greece. Herbermann, Charles, ed. (1913). "Pharsalus". Catholic Encyclopedia. New York: Robert Appleton Company.